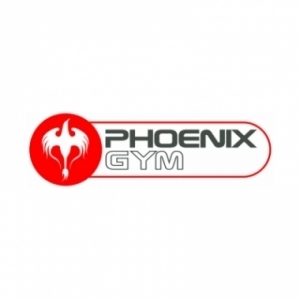 Phoenix Gym, located in the heart of the fine city of Norwich, is considered one of the best gyms in Norfolk. 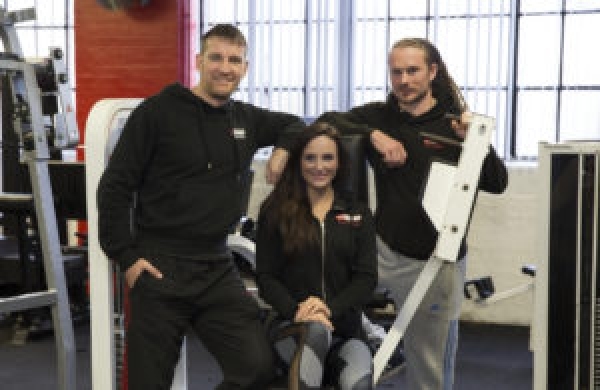 It has won the prestigious “Three Best Rated” award for “Best Gym in Norwich” for the past two consecutive years. 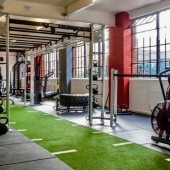 Boasting 6 different training zones, with over 215 workout stations, Phoenix has something for everyone, including traditional cardio, stretching and weights zones, a toning and building zone, a dedicated leg section and power lifting area, and a boxing and MMA zone. 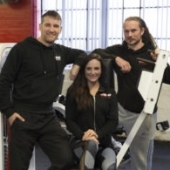 Phoenix managers, Mark Bone, Karl Roberts, and Lorna Taylor have over 35 years combined experience within the fitness industry and wanted to create a unique facility with a special atmosphere. 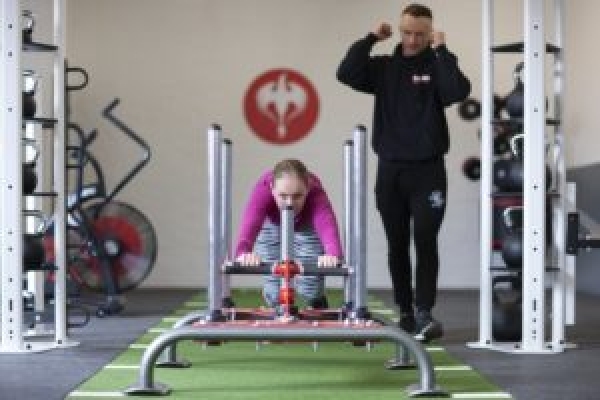 Phoenix Gym not only offers an astounding choice of quality exercise equipment for fun and focused workouts, but also very personal, genuine support from staff who love what they do and who are passionate about the Phoenix “Raise your game’ ethos. Phoenix trainers are professional, friendly and encouraging, with a focus on results that supports fitness longevity. The variety and quality of training in a relaxed, non-competitive environment are features that Phoenix members value highly and keep them motivated. 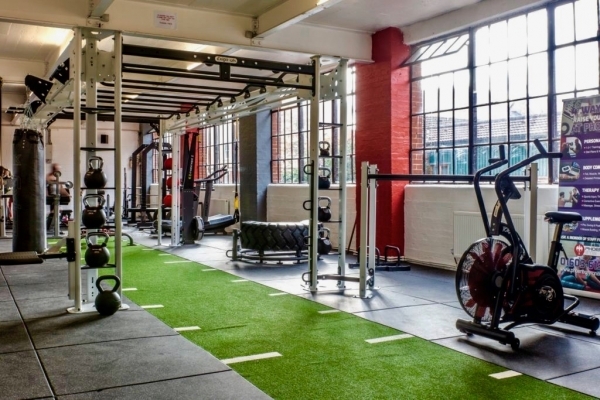 Phoenix approached us here at CYC to design and equip a transformational functional fitness training studio for phase three of their incredible development. Phoenix Gym now has multiple workout zones, spanning over 10,000 awe-inspiring square feet. 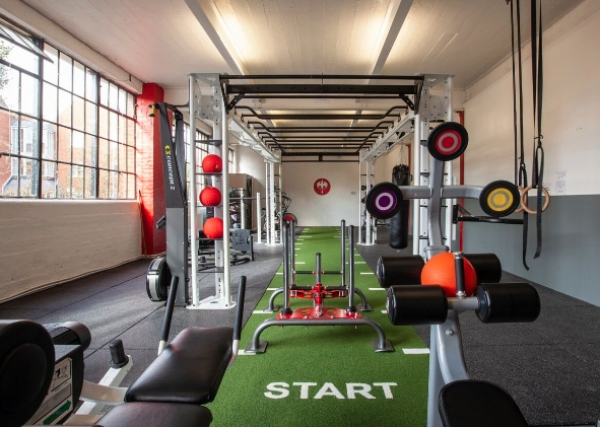 The latest addition is the formidable, functional fitness training studio that has set Phoenix ablaze this autumn. 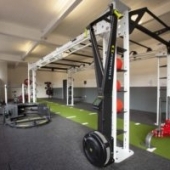 The Phoenix functional training centrepiece is a custom UK manufactured 6 metre bridge. 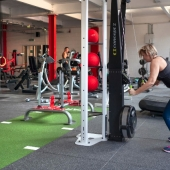 This can accommodate around 16 users at a time and has an integrated Concept 2 SkiErg, high rope climb and parallel bars for calisthenics workouts. 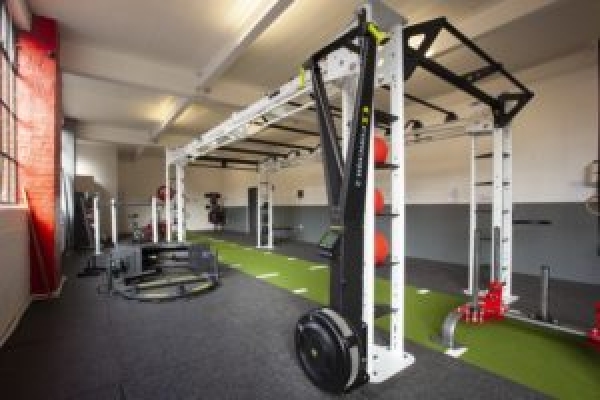 The rig optimises all available floor space and ceiling height, whilst still allowing the floor to be used for yoga and body weight training. Its vibrant green 15 metre sprint track, positioned down the centre of the rig, creates a striking focal point and unlimited opportunities for sprint and sled work. 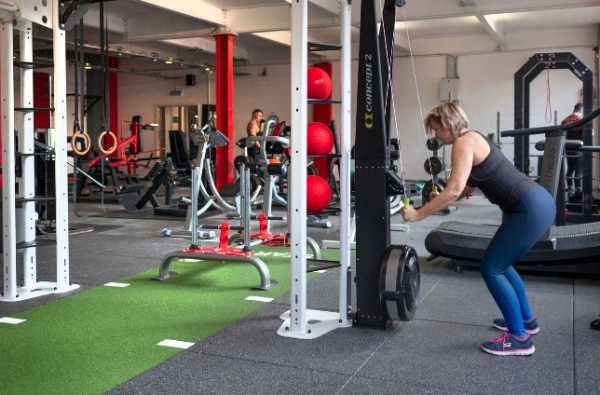 Phoenix’s strength equipment includes an impressive UK manufactured 8-station jungle gym, Gym Gear Sterling plate loaded series and Elite series equipment. 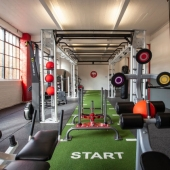 Accessories and free weights from the Jordan and Gym Gear ranges, including some stunning custom branded urethane dumbbells, complete the strength zone to perfection. 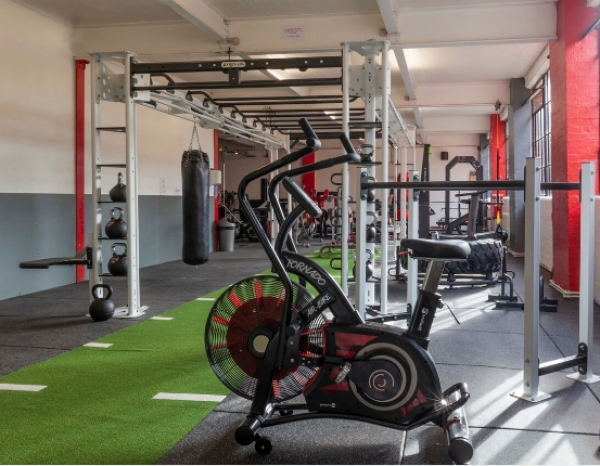 For thrilling functional training experiences, the Phoenix team opted for the most innovative equipment on the market. 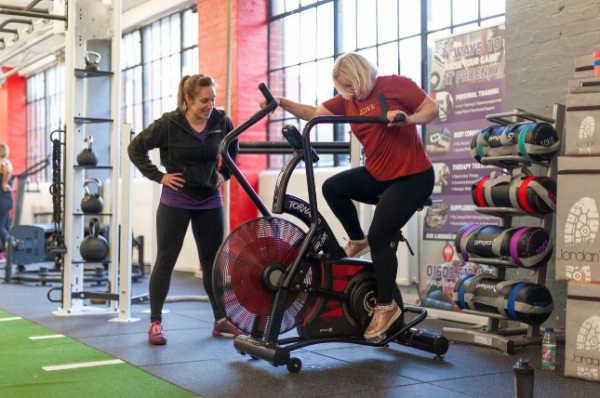 The Star Trac BoxMaster will be a huge hit with the members, and the revolutionary, Abs Company, for which CYC Fitness is the exclusive UK & Irish distributor, is the brand of choice for fitness exhilaration. The TireFlip 180XL and Battlerope ST are set to star in dynamic small group workouts. 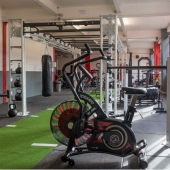 “CYC Fitness has exceeded all our expectations where quality equipment and smooth installations are concerned, which is why we have never needed to look elsewhere. As Craig Young and his team are at the cutting edge of the latest innovations, we trust their advice and feedback, which has never let us down to date. Each installation has brought with it a new influx of members, as well as improved member retention.